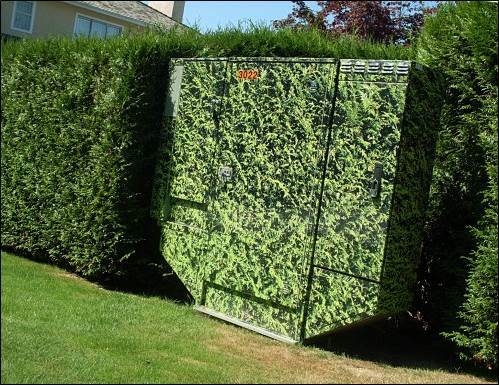 The cornerstone of any sustainable urban beautification initiative is a GraffWrap™ program from Goodbye Graffiti™. By wrapping your street assets with a high impact vinyl barrier you will instantly beautify the area, reduce your graffiti frequency, preserve the asset and lower your long term maintenance costs. 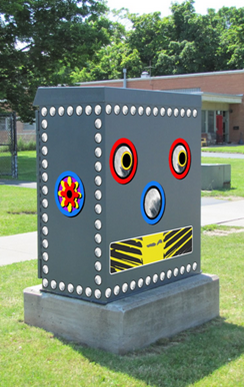 Whether you have a single item or 20,000 utility boxes there is an installation and preservation program that will suit your needs. Custom designs can promote heritage themes, feature important messages, advertise events, promote local artists or kids’ art programs, all while making a positive impact on every person who passes by. The Ever-Clean Program, offered exclusively by Goodbye Graffiti™, will keep all installations graffiti free indefinitely.